Do you want to surf the best waves in the world, travelling in luxury? Bintang is an ocean going 110ft Schooner, the largest Western owned vessel in the Mentawai Islands and is set up exclusively for surf charters. 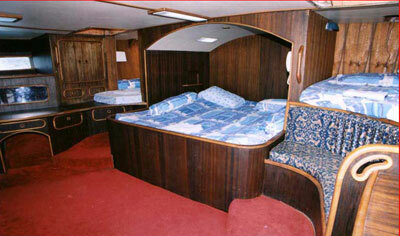 The boat is owned and operated by Daryl and Ashton Robinson - keen and experienced surfers. 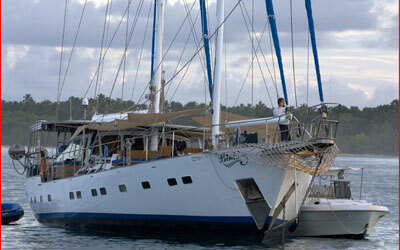 They are experienced Mentawai operators who know where to find the best waves possible to surf through out the trip. 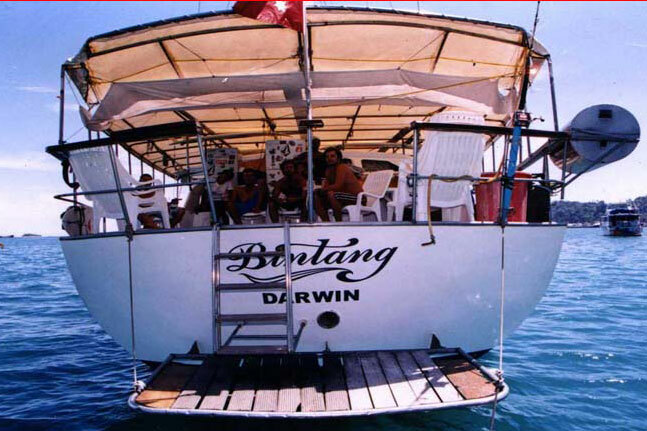 Padang airport transfers, 11 nights onboard Bintang, bottled water, hot drinks, sodas, 3 meals a day, and use of all Bintang onboard equipment and facilities: skin diving, fishing rods & reels, TV, DVD home entertainment center and a loud stereo system. Also included is video & photo documentation by the crew with CD's of trip available at additional cost. US$1,000 deposit required to guarantee individual bookings. US$10,000 deposit required to guarantee group bookings. Final payment due 90 days prior to sailing.